An Italian scholar of architecture compares the scope of today's mega-cities with the more human scale of Venice. And we'll hear what a pair of documentary producers noticed when they interviewed residents of Christiania, a communal society tucked into the middle of downtown Copenhagen. Plus, we get mom-tested advice for making everyone happy on an overseas trip with teenagers. Richard Jackman and Robert Lawson, documentary filmmakers of "Christiania: 40 Years of Occupation." Dr. Salvatore Settis is a professor at Scuola Normale Superiore in Pisa, Italy, and wrote "If Venice Dies" about the challenges facing Venice, and how Venice also serves as a model for the rest of the world. Richard Jackman and Robert Lawson spent several years producing the documentary "Christiania: 40 Years of Occupation." Copenhagen provides tourism tips for visiting "Freetown Christiania." Samantha Walsh writes about the Danish concept of "hygge." Ashley Steel is the co-author of "100 Tips for Traveling with Kids in Europe." The Haus der Musik in Vienna in a popular interactive music museum with younger travelers. 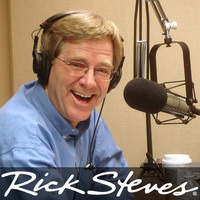 Tina and Ashley discussed taking young children to Europe on Travel with Rick Steves program #490 in July 2017.